My name is Lisa Bridges.I am a wife, a mother, a daughter, a sister, an auntie, a friend, a teacher, and a counsellor. I am a Brandonite through and through, having been born and raised here.I am very close with my family and believe that family is the most important part of life we have.My sisters and I have realized that the greatest gift we can give our children is something we didn’t have – knowing their cousins.They are growing up to be best friends.My parents have been married for forty years and have set a great example for me in my own marriage. My academic goals have surprised me.When I graduated high school, I did not want to go to university.I wanted to work full-time and make money that way.I did not believe I needed to continue school.However, my mother decided otherwise, so off I went.After three years of “coffee time” and missing classes, the message was clear as I was placed on academic suspension.My parents were shocked; I was relieved.I was able to work full-time and start living pay check to pay check as I had wanted. I was married in October 1999 and our son was born in August 2000.All of a sudden I realized that my cashier job of eight dollars an hour would not pay for his food and other necessities, not to mention any activities.It was time to head back to university. It had been my dream ever since I was a little girl to become a teacher. I was not sure how I could possibly manage this task after so much failure. I did return to school in 2001, and started on a B.G.S. Degree. My GPA upon returning was 1.12. However, as I worked through my courses, my GPA slowly began to climb and soon I was off probation.That was a great day! I graduated in 2003 with a GPA of 2.68.I was admitted to the Faculty of Education that fall, and graduated in 2005 with a GPA of 3.91. I was placed on the Dean’s Honors List and graduated with a B.Ed. (AD) with Greatest Distinction. In the fall of 2007, I was accepted into the Masters of Education Program at B.U. and started my first course in January of 2008. After successfully completing that first course, I was hooked and couldn’t wait to continue. I began checking off one course at a time and now find myself in the last course for my degree and looking forward to graduation. Completing a M.Ed. has done much for me. I have regained the confidence that I knew was always there, but somehow was pushed aside. I have learned about myself through my coursework and become a better person for it. I have changed my parenting and relationship styles because I have learned better ways of communicating. In addition, I have been able to pass these skills on to others. It hasn’t always been easy along this journey, but great learning comes when things are tough sometimes. I became interested in counselling as a high-school student. I loved the career development we did and also enjoyed the psychology course I took in grade 12. When I got to university, however, it was a different story. I never thought I would ever get to be a counsellor, for various reasons. However, now I have completed the necessary coursework to begin this challenge and am thrilled that I have made it here. I spent last fall working on my practicum and had the most amazing time working with the students and staff. We often know when we are in the ‘right’ job, and I think this is the perfect place for me. I have learned and researched about Expressive Arts and have seen the benefits of incorporating this type of counselling into schools and other programs. My philosophy of life is simple. I believe that we all have seeds that were planted within us even before we were born. These seeds may or may not have had a chance to grow or to bloom, but it is our responsibility that we give them that chance. We can stir up the soil around them, nurture them, and as they grow we can see the passion that will arise and lead us to our true callings here on earth. True happiness can be found when we are living to our potential through our passions. In the future, I see myself working with others to bring healing and help them re-align their lives with their passions and potential. I see myself working to open the communication lines within families, working with children to give them a safe place to talk and share their thoughts and emotions and to help them gain interpersonal and intrapersonal skills. Iam very grateful for this nomination. This road has been exciting, fun, interesting, stressful at times, amazing, and life-giving. To come from the ‘failure’ of the past and not only over-come it, but supersede it, still amazes me that I have done just that. Will Graduate with GPA +4.0 in M. Ed. 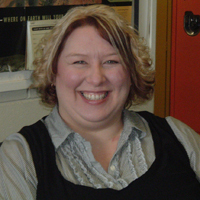 Lisa is currently completing the 36 credit hour Masters in Education program in Guidance and Counselling. She will be graduating in May 2010. Throughout her program, Lisa has managed to maintain a high grade point average despite raising a young family and being in charge of the Junior Kindergarten program in the Faculty of Education. Lisa has demonstrated excellent academic and professional skills. Her most recent course was the counseling practicum, whereby the Faculty Advisor and the field supervisor both noted that it was a pleasure to work with Lisa. “She was prompt, responsible, and eager to learn and experience as much as possible in the time allotted for the practicum. It is clear that she cares for children and is dedicated to helping them”.